First Minister Nicola Sturgeon announced the funding during a visit to South Lanarkshire. First Minister Nicola Sturgeon has announced that 100 organisations across Scotland are to benefit from £10 million of funding to support local action to tackle climate change. The grants have come from the Climate Challenge Fund, which stands at £9.97 million in 2017-18. The Scottish Government contributes £9.09 million, while £0.88 million comes from the European Regional Development Fund. Ms Sturgeon made the announcement during a visit to R:evolve Recycle, a clothing swap shop in Rutherglen which operates with the aim of reducing textile waste. The organisation is a current recipient of the fund and and has been awarded a further £143,416. 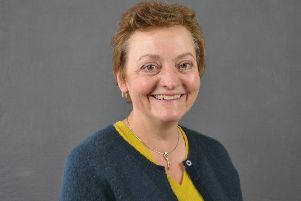 She said: “Scotland is making huge progress in delivering our climate change ambitions, but there is still much to achieve and the role of behaviour change and community action is crucial. Since the fund launched in 2008, £85.8 million has been awarded. Iain Gulland, chief executive of Zero Waste Scotland, a waste research company, said: “Scotland’s ambitions for a circular economy, where we make things last for longer, go hand in hand with its world-leading commitments to tackling climate change. Thanks to extra investment from the European Regional Development Fund, we’re now able to help more communities across Scotland take action locally to benefit Scotland’s environment. Keep Scotland Beautiful, an environmental charity, manages the fund on behalf of the Scottish Government.